- and get rid of the routine that used to take up a lot of efforts. 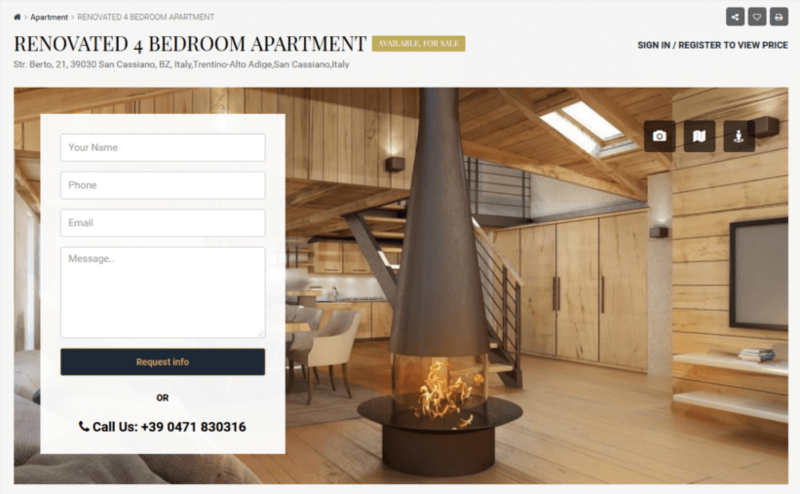 Edelweiss is an Italian company that focuses on a range of services from property research and architecture to interior design and property sales, especially in the mountainous area of the Dolomites. They had a static website and wanted to redesign it to build brand awareness and engage the site visitors. In digital partnership with RealtyShine, they converted an existing site into an interactive web portal and integrated it with a CRM software. Now, visitors can register their inquiries through the website to find any type of properties they are looking for – in a specific region, and they see relevant listings that are fetched from the CRM database to match the queries. RealtyShine’s industry-specific CRM system allows brokers to send automatic e-mail replies to their prospects with actual photos of land and building. The new site generated twice the number of leads as compared to the older version in the first month since launch. At some point in time, Edelweiss’s website had reached its life expectancy and keeping it in its current situation was defeating to their business growth. - Too much time was absorbed in processing leads. - Lead scoring facility was lacking which is nowadays must-have feature. - Out-of-date branding, including images, font styles, logotype, etc. - Obsolete system for tracking leads and keeping records of existing clients. The main objective was to drive a significant increase in the number of leads via the website, bearing in mind that many people now prefer to visit websites from their mobile devices. So reaching out to new audiences through responsive mobile web app that does not sacrifice interface functionalities in a smaller screen was imperative. - Integration of a property CRM with a multimedia-rich website that delivers a converting user experience. - Brand distillation through content strategy, relevant keywords targeting, SEO and storytelling. The RealtyShine team coded responsive, cross-device user interfaces from mobile to large desktops with a consistent focus on UX. Numerous plugins were added on top of the flexible CRM platform to connect the system to popular marketplaces through pre-built APIs. The property CRM enables tracking of web activities and analytics, giving one tight control over opportunities so none of them is missed. 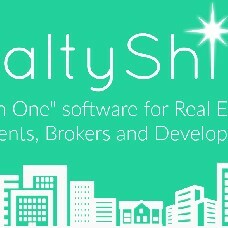 RealtyShine’s CRM is not only a customer relationship management software. It is a digital environment that is portable enough so that you can operate any aspect of your business from wherever you are in the world. - Create CRM records directly from the website using contact forms and sign up information. - Track user search queries, such as typed phrases in google to find your business. - Launch e-mail campaigns from within the CRM. - Know saved properties by future clients/prospects. - Track incoming and re-visiting leads. - Implement customized auto-responses in accordance with the type of inquiry to prevent leads from slipping through the cracks. - Analyze how well each category of leads are converting. Now, with their website integrated with a realtors’ CRM, agents can take their business along wherever they go and achieve much more.